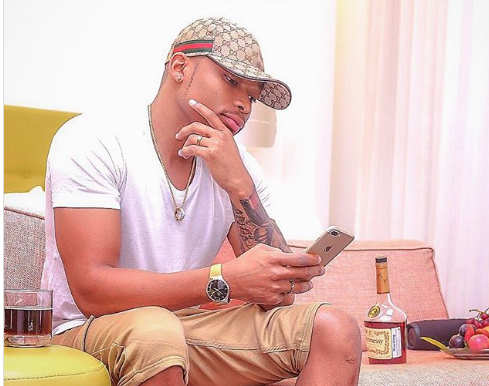 Vera Sidika has been talking a lot about Otile Brown lately. The socialite exposed the mellow singer for allegedly being a one minute man and sucking( OK, maybe not the right word) in bed. All this time, Otile has remained silent publicly. 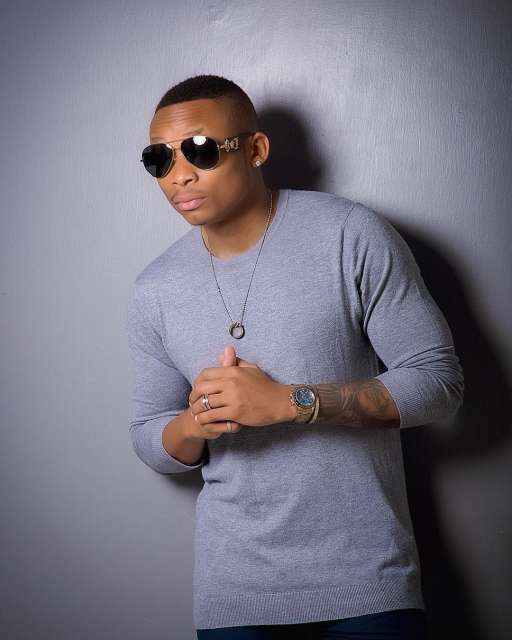 Apparently, Vera has come out to claim that Otile has been tarnishing her name away from the public eye and is trying everything to make sure her saloon collapses. “No regrets only lessons. Plus; Mr. O.B if u think tarnishing my salon name will make u prosper, it won’t. 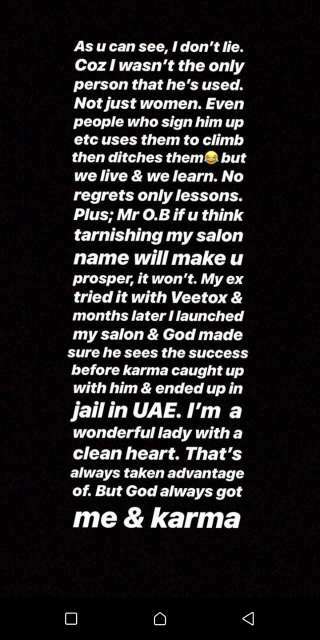 My ex tried it with Veetox and months later I launched my salon and God made sure he sees the success before karma caught up with him and ended up in jail in UAE. I’m a wonderful lady with a clean heart. That’s always taken advantage of. But God always got me and karma,” wrote Vera. 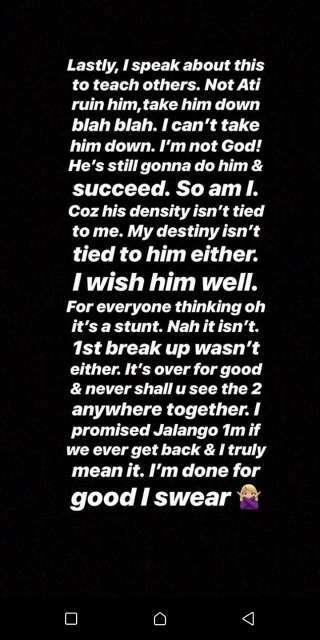 She went on to wish Otile all the best and say that she did not expose the him to bring him down but rather to teach others a lesson. “Lastly I speak about this to teach others. Not ati ruin him, take him down blah blah. I can’t take him down. I’m not God! He’s still gonna do him and succeed. So am I. coz his density isn’t tied to me. My destiny isn’t tied to him either. I wish him well. For everyone thinking oh it’s a stunt. Nah it isn’t 1st break up wasn’t either. It’s over for good and never shall you see the 2 anywhere together. I promised Jalang’o 1m if we ever get back and I truly mean it. I’m done for good I swear,” said Vera.